What does it mean to be perfect when it comes to parenting? Parenting isn’t one single line you walk and neither is the strive for perfection in parenting. On some days, being a perfect parent means taking extra care with the food you prepare. On others, it’s a desire for a spotless house. On still other days, it’s the amount of playtime you engage in. And on some days, it’s an overwhelming desire to be amazing at all things, all the time. Letting go of perfectionism is an important skill that can only improve your confidence in parenting. Does it even matter if we add a little perfection in our parenting? What can it hurt if I teach my kids that a clean house is a matter of pride and importance? While values and responsibility are wonderful, going over the line into striving for perfection can really take a toll on you and your family. The quest for perfect will rob you of any joy the moment holds. By searching for perfect you miss the good. Get clear on what matters to you. Set a timer for 15 minutes and write down everything that is important to you. Think about your relationship with your kids and your spouse. Think about the care you give yourself. Go back over the list and circle the things that matter most. Use affirmations or mantras. Keep your values present in your mind by creating affirmations from the list you made above. When the weight of perfection starts to bear down on you, repeat these affirmations to yourself. Reduce comparison. Social media makes it easy to look at someone’s life and see perfection. Most likely this curated view isn’t the full truth… but that doesn’t actually matter. What matters is how you feel when you look at it. If there is someone in your Facebook feed that brings up feelings of anxiety, hide them from your feed. Sometimes all it takes to reduce the pull for perfection is to simply remove triggers. Try being not perfect at something. Pick one thing and be not perfect at it. Pay attention to how you feel. Pay attention to the reaction of others. Pay attention to how your family functions. Use this experience to add to your affirmations. Give yourself both time and patience. Anytime you are trying to work through a mindset shift you are going to fail. You’re going to stumble. That is OK. You are on the path to becoming a better version of yourself. Go slow and celebrate each tiny win along the way. Build a growth mindset. A growth mindset is one that allows for change and accepts that mistakes create learning opportunities. A growth mindset needs imperfection. This idea is fantastic for our kids, but can also be a game changer for us. 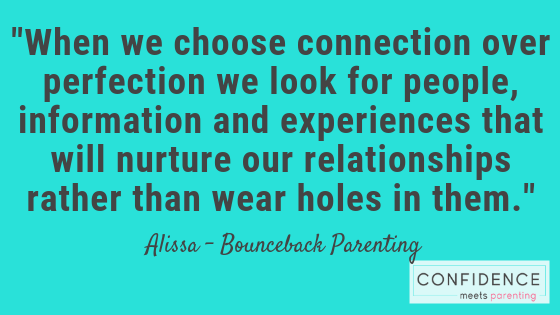 Alissa, Bounceback Parenting, does a great job of explaining growth mindset in parenting. 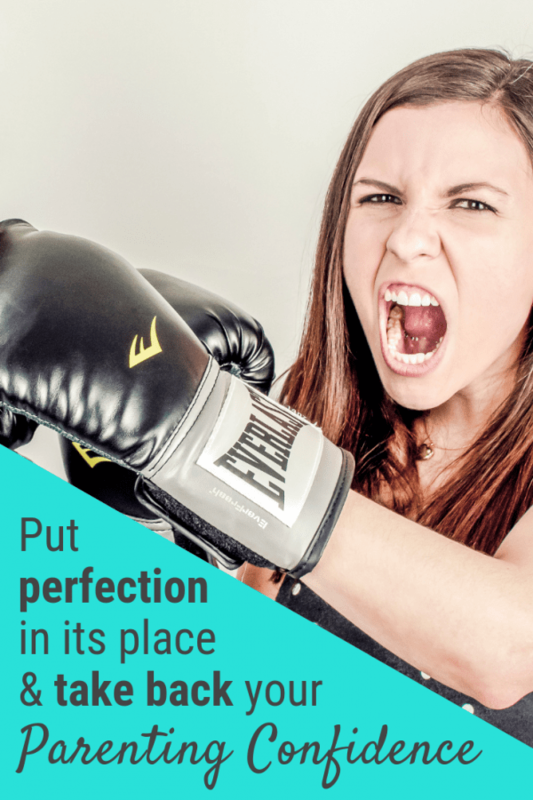 Where can you reduce perfection in your life? Share in the comments.